Garr Reynolds redefined the rules for business presentations in his best-selling book Presentation Zen. 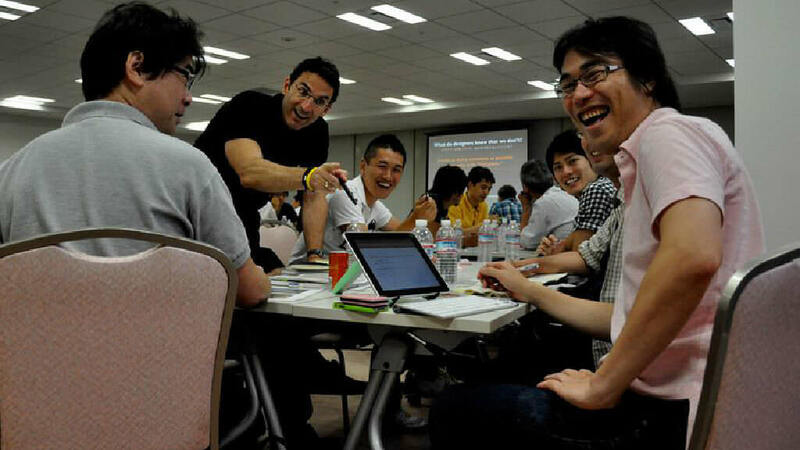 A leading author, designer, former manager at Apple and professor based in Japan, he began the Presentation Zen blog in 2005, and published the first edition of the Presentation Zen book in 2007, followed by the highly successful Presentation Zen Design and The Naked Presenter. 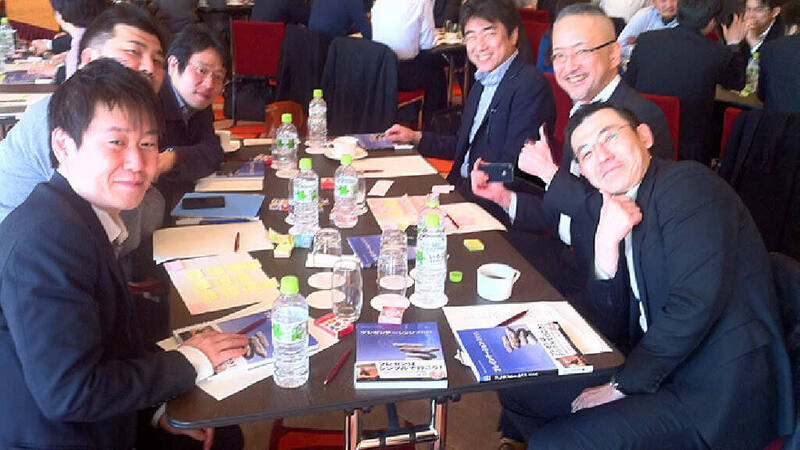 Garr’s approach takes lessons and principles from Japanese culture, particularly restraint, simplicity and naturalness, and applies them to typical presentations given in conferences and the workplace. Ideas on Stage created Presentation Zen for Business together with Garr, blending his unique approach with our business presentation experience. 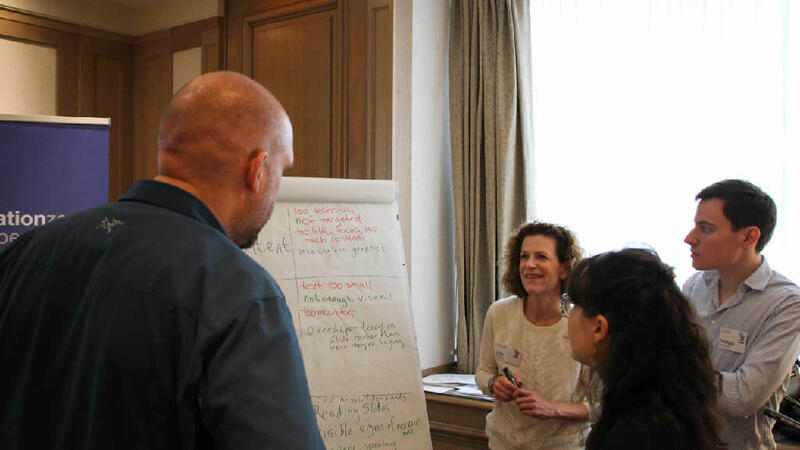 The result is a fun, refreshing workshop for large groups, ideal for department meetings or management retreats, combining a team-building event with a highly useful new approach to business presenting. Exclusively delivered by Ideas on Stage, Presentation Zen for Business is available around the world in multiple languages. 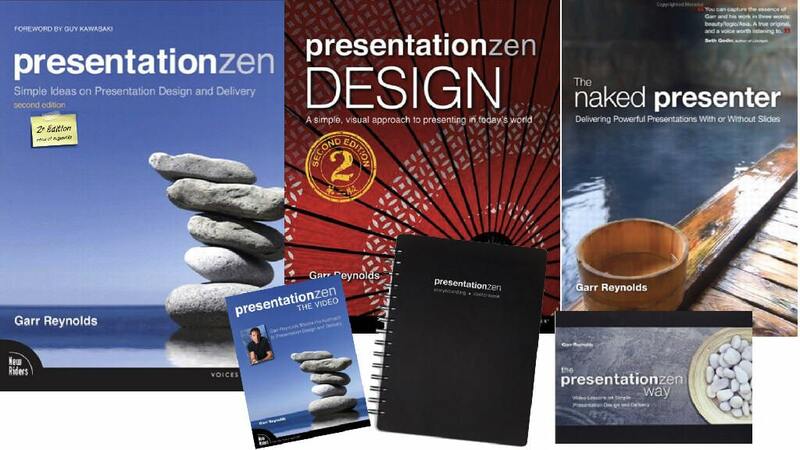 Bring the magic of Presentation Zen to your company and revolutionize your presentations! The blog Presentation Zen is followed by tens of thousands of people worldwide, and the book Presentation Zen is a world best-seller. On the first day, discover the Presentation Zen approach with many practical exercises related to business presentations so you can learn the keys to apply Presentation Zen in your daily work. During this first day, participants will create a presentation using the Presentation Zen approach and some powerful new techniques developed by Ideas on Stage. 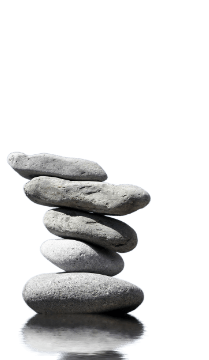 We will focus on how to use the Presentation Zen approach in your business presentations with case studies and many practical exercises. 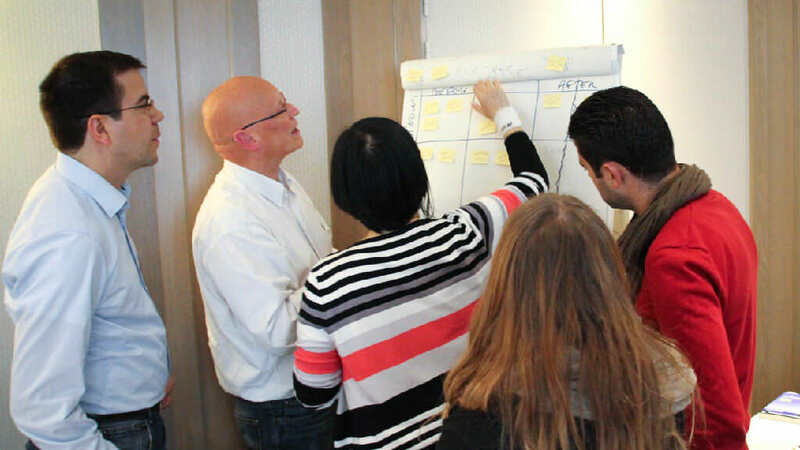 On the second day, participants will finalize, illustrate and deliver the presentation they prepared the day before and will receive expert advice from our coaches on how to improve their delivery and make a stronger impression on their audiences. The course owner and lead trainer for Presentation Zen for Business is Phil Waknell, co-founder and Chief Inspiration Officer at Ideas on Stage. Apart from his many years of experience with Ideas on Stage and its leading blue-chip clients, Phil teaches presentation skills at HEC Paris Executive Education, the world’s leading executive business school, and was featured in Garr’s third book The Naked Presenter. He is the author of the forthcoming book The Business Presentation Revolution, and is a frequent keynote speaker on the new way of presenting. 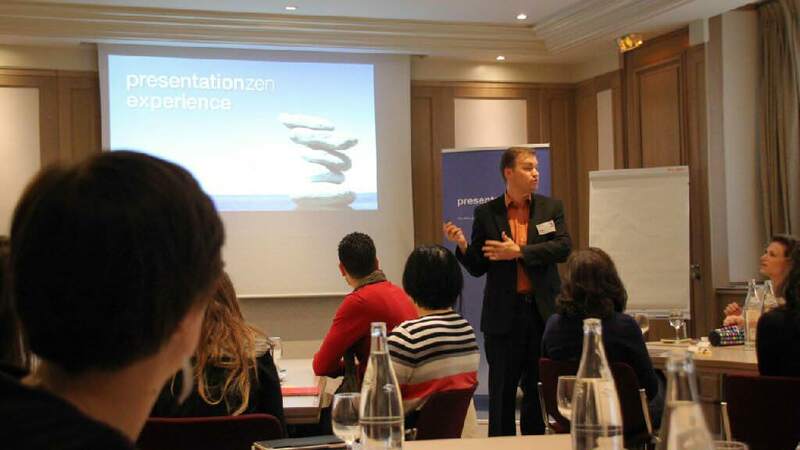 Ideas on Stage is the first company that I entrust to train the Presentation Zen approach. 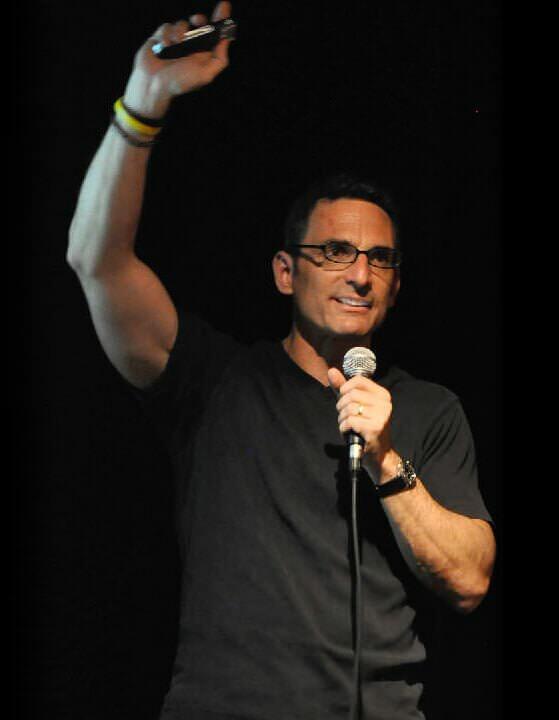 Lead trainer Phil Waknell not only embodies the Presentation Zen spirit, he and Ideas on Stage deliver it. This is an opportunity not to be missed!